Unmistakable at all ages. 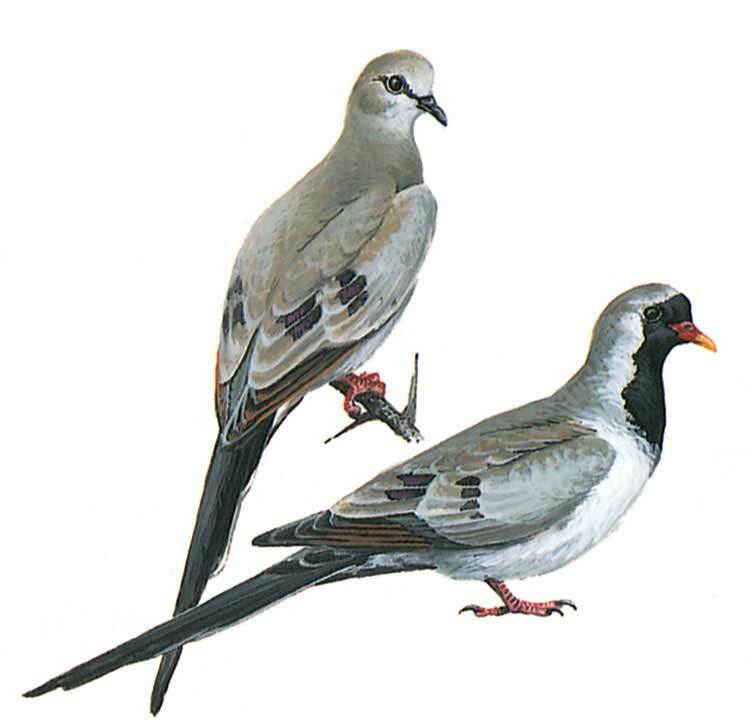 Very small blue-grey or grey-brown dove with long black central tail-feathers, recalling large Budgerigar in shape. In flight, black primaries show large red-brown patch. Male has black face and upper breast, which are brownish grey in female. Juvenile barred black and buff on crown, throat, wing-coverts and back. Very rapid flight is fast and direct. Spends much time on the ground.